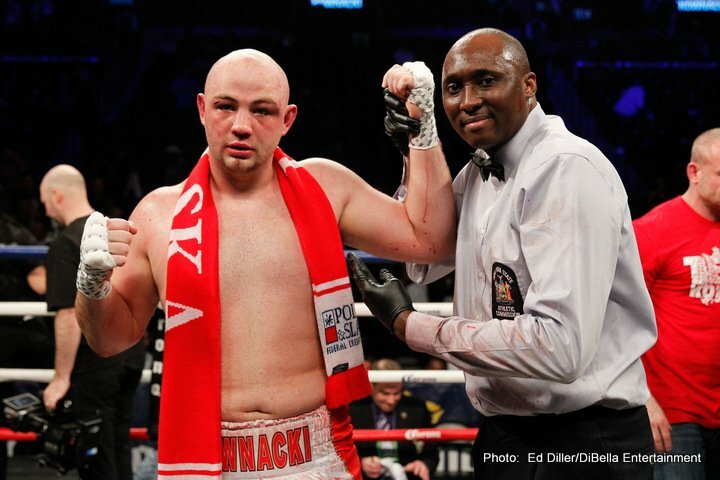 Polish fan favourite Adam Kownacki improved to 17-0(14) on last night’s Errol Spence-Lamont Peterson card, the 28 year old slugger stopping Ukrainian Iago Kiladze in the sixth-round of an entertaining slugfest. Kownacki, very much a what you see is what you get type of warrior, came forward all night, looking to put on pressure and sling bombs. But aside from being a fun fighter, which he very much is, the Pole dubbed “Baby Face” is also working himself closer and closer to the higher world rankings. 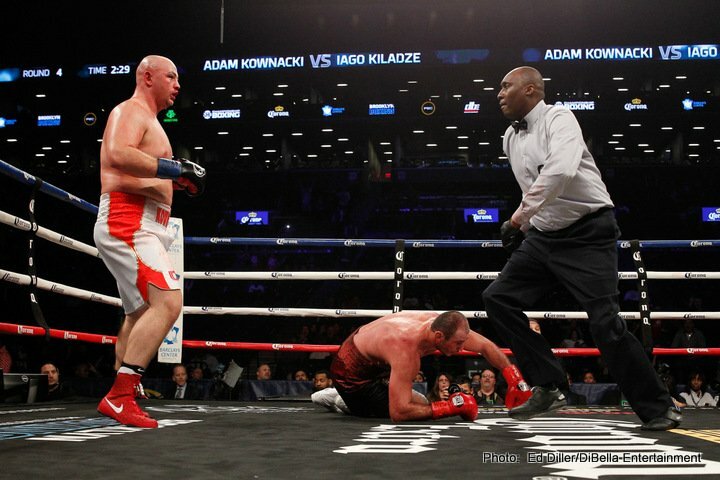 A big hit in New York, where Kownacki has now boxed ten times, and in his last five bouts, Kownacki is also closing in on getting himself a big, big fight. Rugged, possessing good power and a good engine (this despite the fact that Kownacki tipped in at a hefty 20 pounds more than he weighed for his last fight, the stoppage of countryman Artur Szpilka in July) the 6’3” operator is certainly a heavyweight to keep a firm eye on – Kownacki could even prove to be the sleeper or the dark horse of the weight class. With an ‘I’ll fight anyone’ mental approach, and with Al Haymon looking after him, Kownacki might just surprise a top contender, maybe even a champion, should he get the opportunity to fight one. We need exciting, heart-on-their-sleeve type fighters like Kownacki, and the way he’s going he will pick up more and more fans over the coming months and over the coming fights. Again, keep an eye on this guy. At the very least, you will get a good action fight each and every time Kownacki laces ’em up.